HP 15-dc1006TX Gaming Laptop comes with price of Rs. 145990. This 15.6 in laptop comes with Windows Operating System installed. The CPU in the laptop is Intel Core i7 with NVIDIA Geforce RTX 2060 Graphics Card. There is 1 TB HDD and 16 GB DDR4 RAM in this laptop which can be upgraded to 32 GB. HP ZBook 15v G5 Laptop comes with price of Rs. 107380. This 15.6 in laptop comes with DOS Operating System installed. The CPU in the laptop is Intel Core i7-8750H with NVIDIA Quadro P600 Graphics Card. There is 1 TB HDD and 8 GB DDR4 RAM in this laptop . 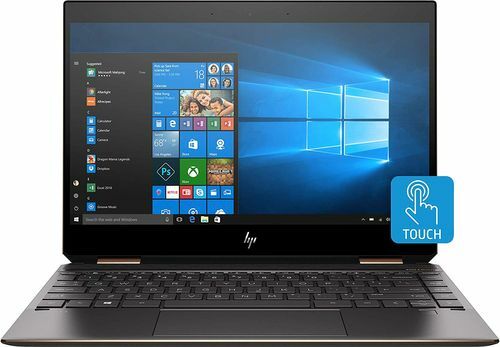 HP Spectre x360 13-ap0101TU Laptop comes with price of Rs. 158990. The screen size of this HP laptop is 13.3 in and it comes with Windows Operating System installed. The CPU in the laptop is Intel Core i7 with Intel Integrated UHD 620 Graphics Card.There is 16 GB DDR4 RAM in this model. 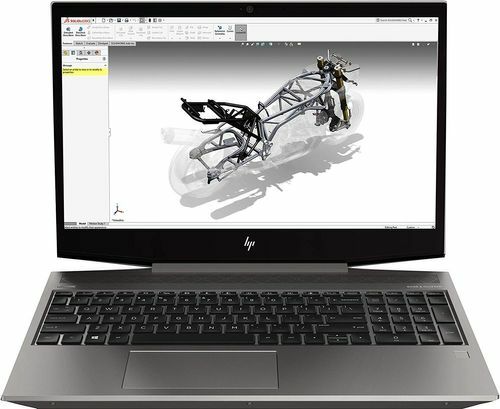 HP 15-dc1007TX Gaming Laptop comes with price of Rs. 162384. The screen size of this HP laptop is 15.6 in and it comes with Windows Operating System installed. The CPU in the laptop is Intel Core i7-8750H with NVIDIA Geforce RTX 2070 Graphics Card. There is 1 TB HDD and 16 GB DDR4 RAM in this model. ✓ The highlights of this laptop are 16 GB RAM and 8 GB GPU Memory which are best available in this price range. 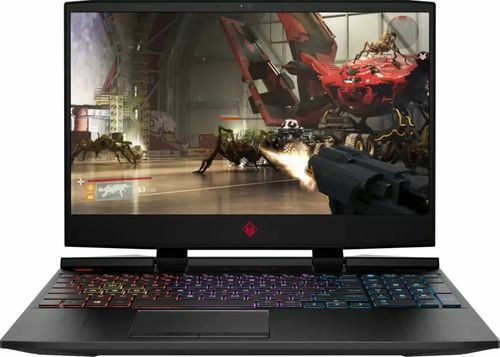 HP Omen 17-an136tx Laptop comes with price of Rs. 179799. This 17.3 in laptop comes with Windows Operating System installed. The CPU in the laptop is Intel Core i7-8750H with NVIDIA Geforce GTX 1070 Graphics Card. There is 1 TB HDD and 16 GB DDR4 RAM in this laptop . ✓ The highlights of this laptop are 16 GB RAM, 8 GB GPU Memory and 17.3 in Display Size which are best available in this price range. Along with this, this laptop also has 8 Cells Battery Cells. 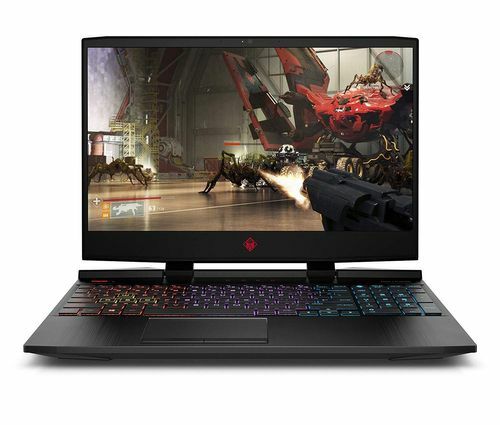 HP Omen 15-dc0106tx Laptop comes with price of Rs. 159950. This 15.6 in laptop comes with Windows Operating System installed. The CPU in the laptop is Intel Core i7-8750H with NVIDIA GeForce GTX 1060 Graphics Card. There is 1 TB HDD and 16 GB DDR4 RAM in this laptop . ✓ The highlight of this laptop is 16 GB RAM which is best available in this price range. Along with this, this laptop also has 15.6 in Display Size. 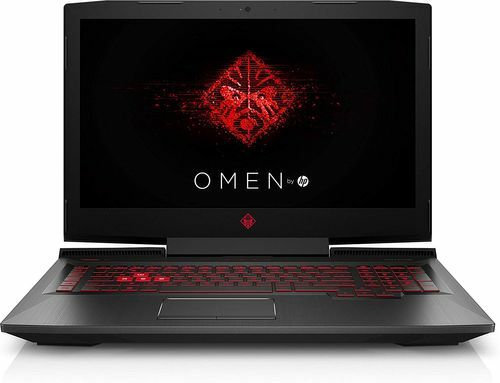 HP Omen 15-dc0082tx Laptop comes with price of Rs. 109990. This 15.6 in laptop comes with Windows Operating System installed. The CPU in the laptop is Intel Core i7-8750H with NVIDIA Geforce GTX 1050Ti Graphics Card. There is 1 TB HDD and 8 GB DDR4 RAM in this model. HP ZBook 15v G5 Laptop comes with price of Rs. 143490. This 15.6 in laptop comes with Windows Operating System installed. The CPU in the laptop is Intel Core i7-8750H with NVIDIA Quadro P600 Graphics Card. There is 2 TB HDD and 16 GB DDR4 RAM in this laptop . ✓ The highlight of this model is 16 GB RAM which is best available in this price range. Along with this, this laptop also packs some more great features like 15.6 in Display Size and 2 TB Hard Drive Size. HP Spectre x360 13-ap0102tu Laptop comes with price of Rs. 197893. This 13.3 in laptop comes with Windows Operating System installed. The CPU in the laptop is Intel Core i7-8565U with Intel UHD 620 Graphics Card.There is 16 GB DDR4 RAM in this laptop . ✓ The highlights of this model are 16 GB RAM, 3840 x 2160 pixels Display Resolution and 331 ppi Display PPI which are best available in this price range. Along with this, this laptop also comes with 15 hours Battery Backup.